Buy in Bulk, and Save BIG! Tank is non-refillable. Ships by ground to Businesses only in 48 contiguous U.S. states. 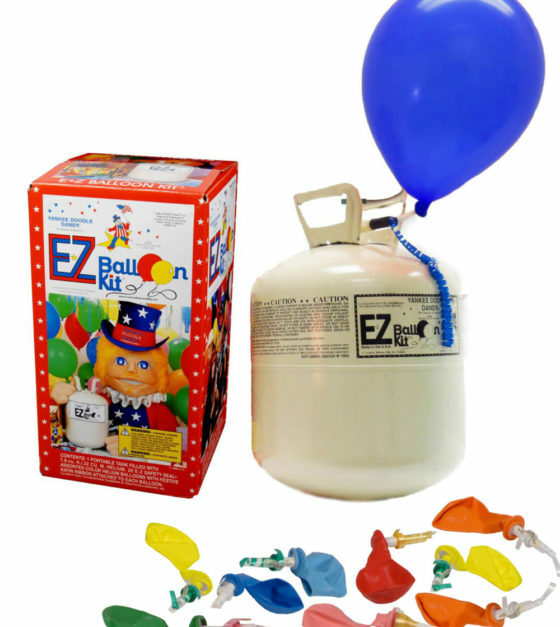 Our E-Z Balloon Kit™ lets you quickly inflate 50 balloons for birthday parties, sporting events, baby showers, school events, promotions and other fun celebrations. This lightweight Helium Tank features an easy-to-use inflation nozzle (pre-attached) to fill balloons in minutes, is portable, and only weighs 10 lbs! 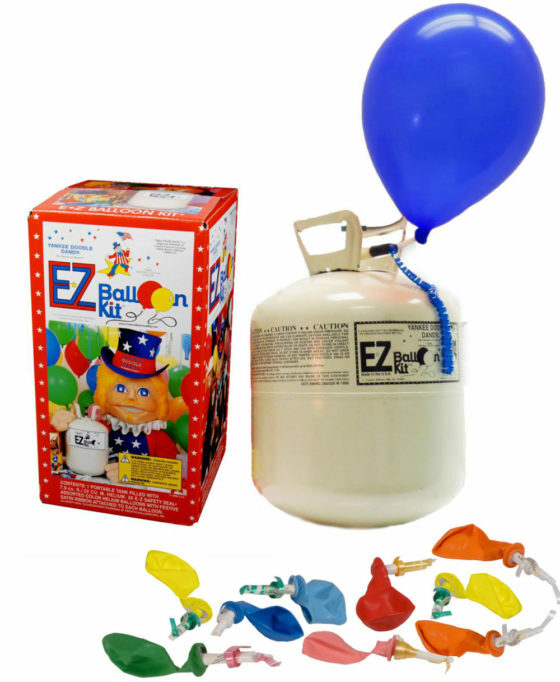 The Magic is in our patented E-Z Safety Seal® Valved Latex Balloons, that automatically seal themselves as you inflate, eliminating the need to hand-tie another balloon again! Each valved balloon comes complete with 4-feet of coiled satin ribbon attached. Save time and money with this turn-key balloon decorating solution! Product ships to 48 U.S. States except Alaska, Hawaii & U.S. Territories. CAUTION: Keep out of reach of children. Contents are under pressure. Non-flammable gas. Use this product only in well-ventilated areas. Tank is non-refillable. Do not store in damp areas. Keep tank away from heat, fire and sharp objects. This tank has a PSI of 260. Children under 8 years old can choke or suffocate on un-inflated or broken balloons. Adult supervision required. Keep un-inflated balloons away from children. Discard broken balloons at once. Share This Great Offer !